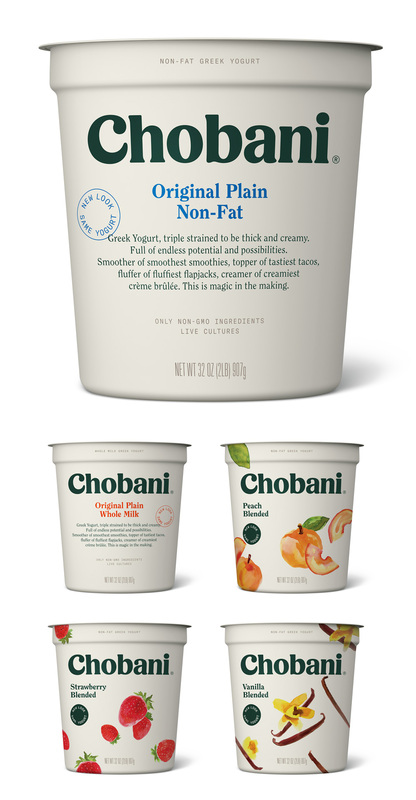 Established in 2005 and launched in 2007, Chobani is a brand of Greek yogurt available in the U.S. that was started by Hamdi Ulukaya, a Turkish immigrant, when he bought a defunct yogurt factory in upstate New York and grew it to build the number-one-selling brand of yogurt in the country. 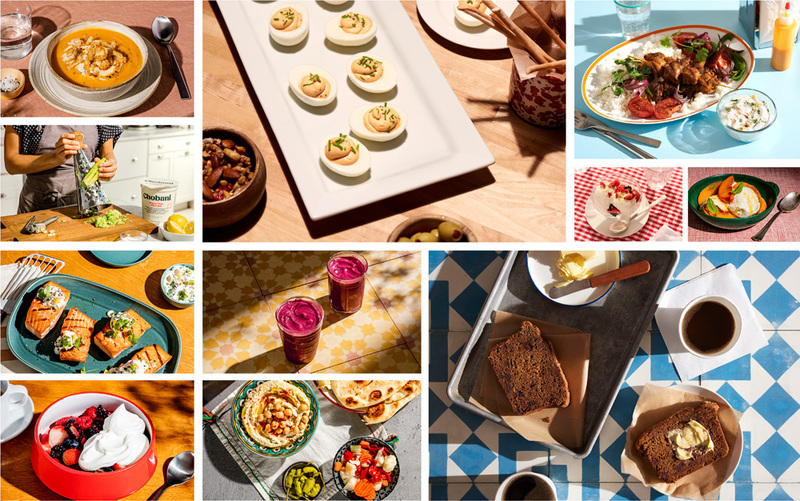 It is the Greek yogurt of choice at UCllc headquarters. 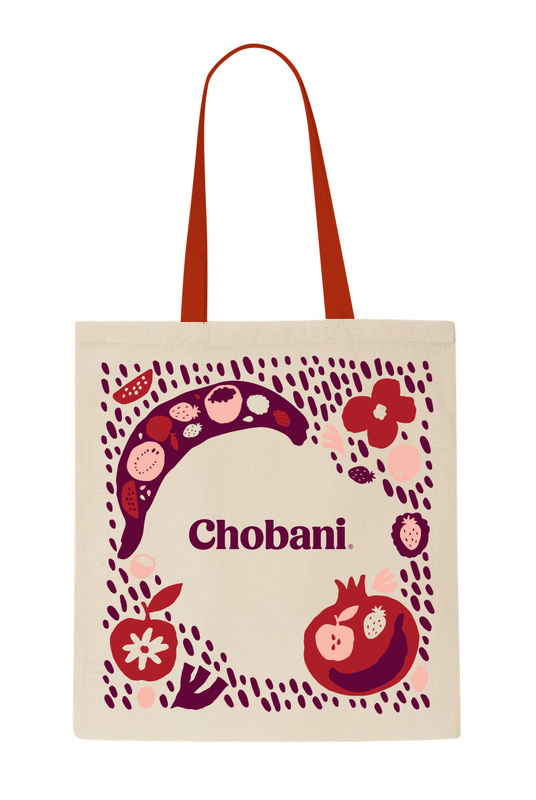 Chobani has grown so much, it became an official sponsor of the US Olympic Team in 2012. 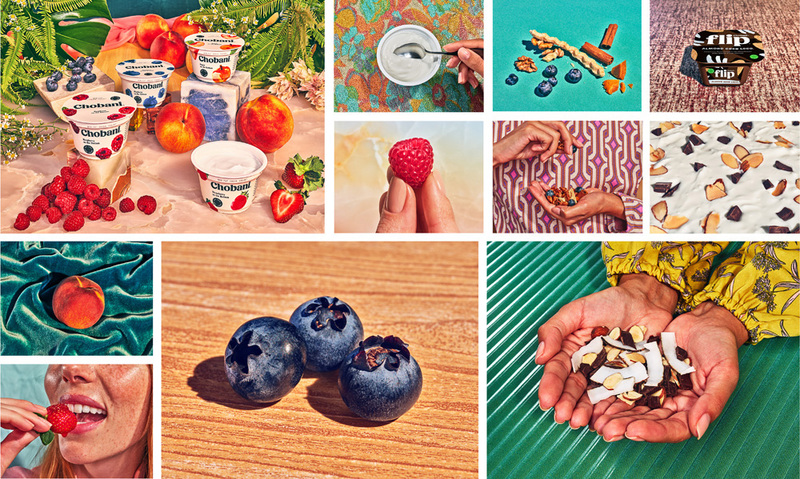 Aside from making super delicious yogurt, Chobani is a super awesome and generous company: among other perks, Ulukaya gave all of the employees shares in the company in 2016 to share the riches if and when the company goes public (or it sells). 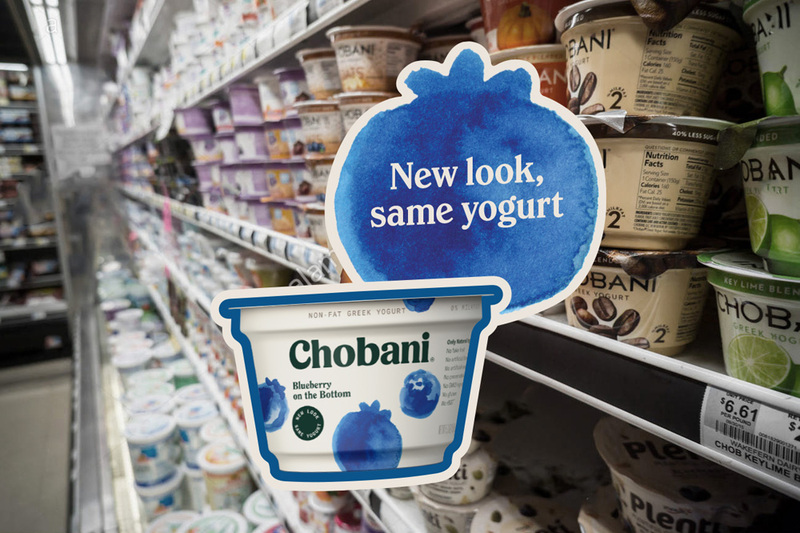 Positioning themselves for further yogurt-market-dominance, Chobani yesterday introduced a new identity and packaging designed in-house, led by Leland Maschmeyer, who joined the company — after co-founding and working for many years at Collins — in 2016 as Chief Creative Officer. A sampling of the old look. 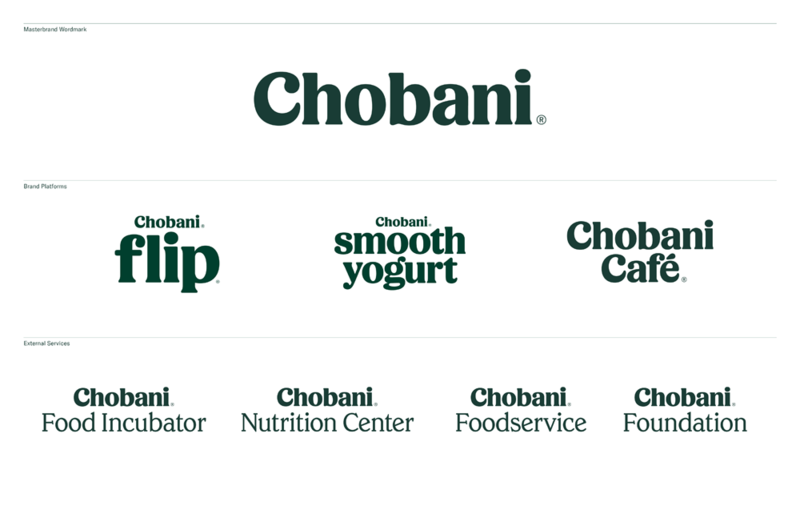 Despite an intense affection for this yogurt I always disliked its old logo. 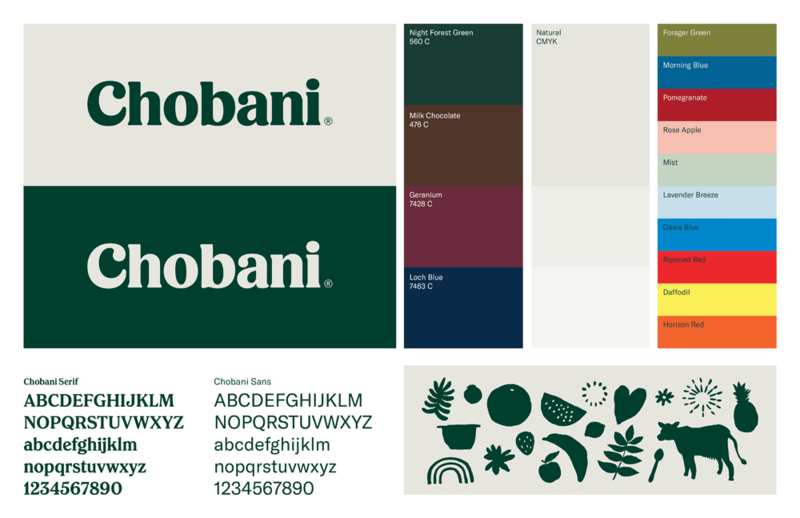 The heavily geometric wordmark with the Art Deco-ish aesthetic felt too harsh, fragmented, and cold in contrast to the smooth, creamy texture and flavor of the product. 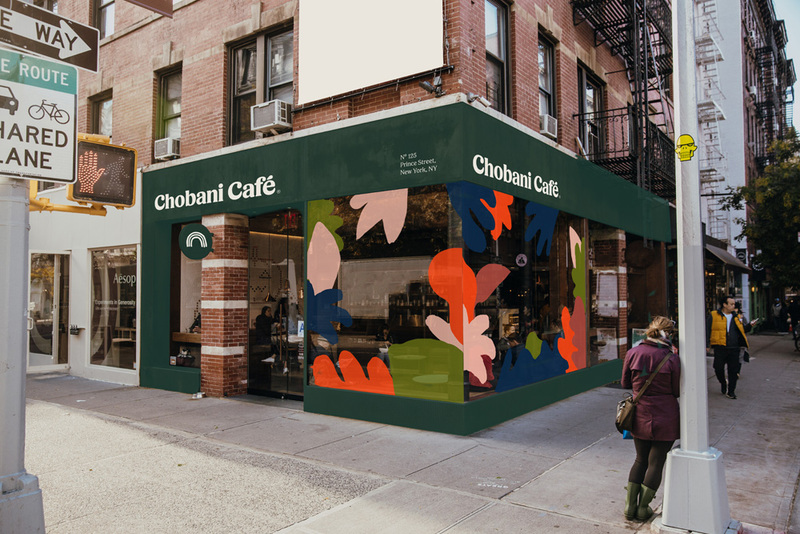 The new wordmark manages to capture that feel-good sensation of the product in a rich, smooth, curvy, chunky serif that looks absolutely fantastic. Drawn by Berton Hasebe — who also designed the extended type family in collaboration with Christian Schwartz of Commercial Type — the new wordmark is the best-in-class, end-of-the-road example of the slowly rising trend of serif typography, particularly of the 1970s, Windsor-esque realm. 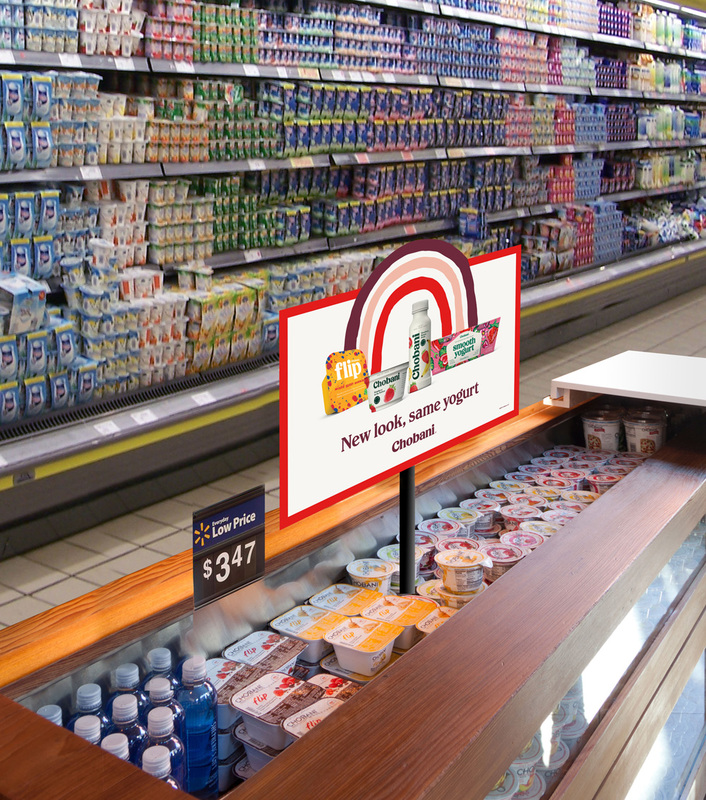 I think it is literally and absolutely perfect not just in execution but in representing the product. The green color is unexpected but it looks stunning on the typography and more so in the packaging. 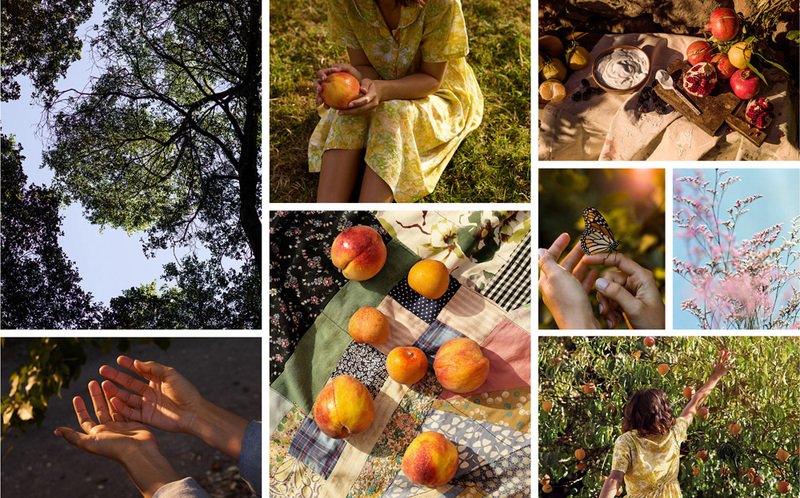 The brand’s new photography style, and overall presentation, has an Amélie-meets-Norman Rockwell-meets-Works Progress Administration aesthetic that feels earthy, nostalgic, and wholesome but without being cloying. The extra saturation of colors gives it a nice contemporary feel. 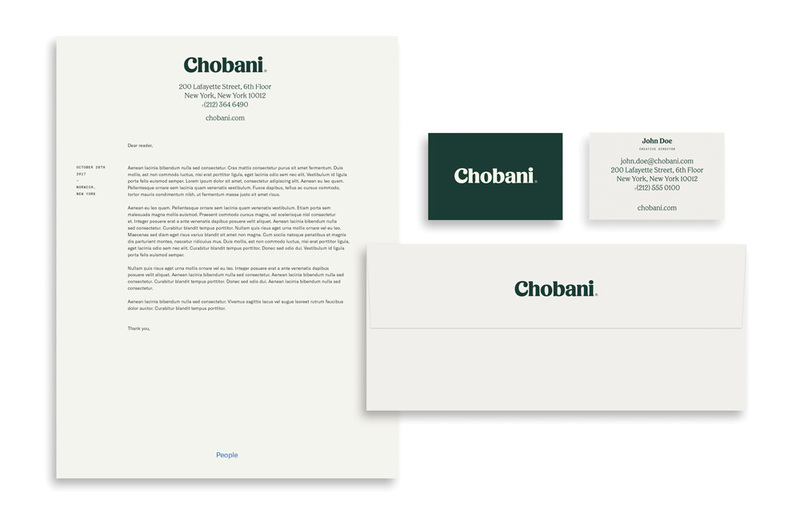 The corporate and marketing materials and lovely too, from the simplicity of the stationery — centered typography, OMG! 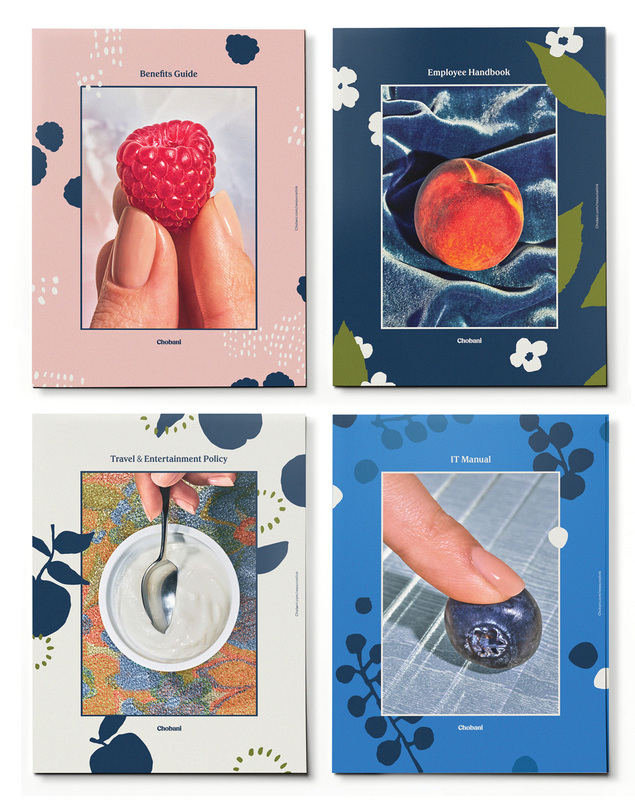 — to the richness of the employee handbooks to the playfulness of the tote and buttons. The identity can work on different visual wavelengths but it all feels consistent and coherent. Like, the old logo, I never liked the old packaging. Too generic and it felt… distant which, again, seemed contrary to the niceness of the company. Like the new logo, I also love the new packaging. It feels like the wholesome boyfriend or girlfriend you want to bring home to meet your parents. It has a very classy look and the new off-white background color makes a huge difference in adding warmth to the packaging. 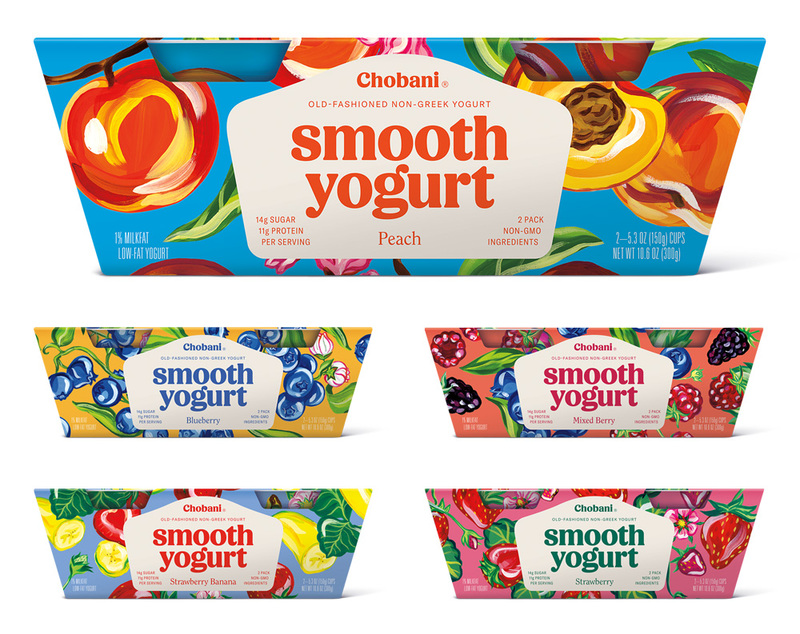 The illustration work across the family of products is amazing, striking a great balance of quirkiness and seriousness, and abstracting each fruit just enough that it feels expressive but not too artsy fartsy. 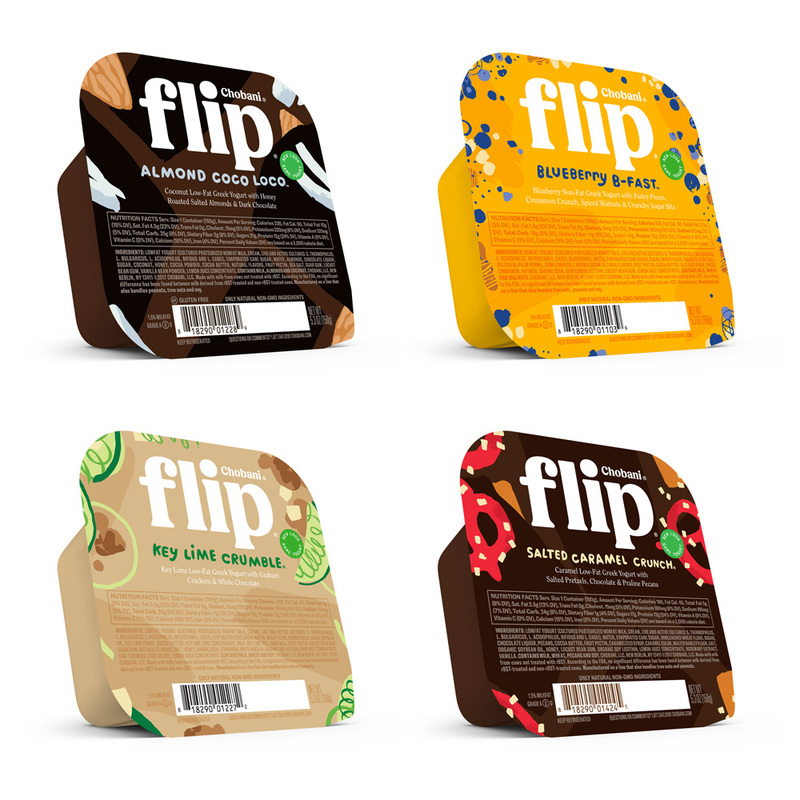 The one product range that feels off is the Flip, which looks like its aimed more at children. There is a lack of elegance and right kind of playfulness that is clearly evident in all the other products. Still, it’s nice but not as nice. “Fighting for Happily Ever After” spot. Overall, in case it hasn’t been evident so far, I absolutely love this redesign and I think it’s one of the best revolutions — screw evolution! 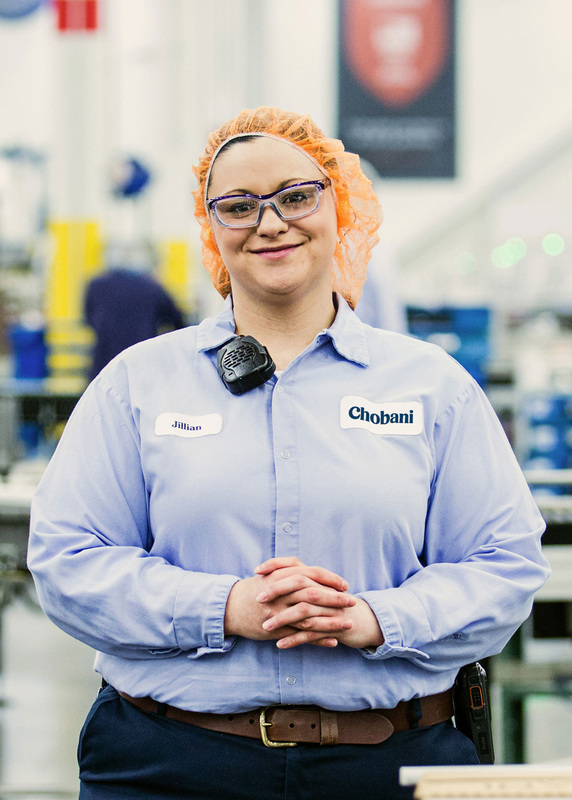 — of a leading product in its category that further separates it from the competition and it’s doing so in its own unique voice. Thanks to Hugo Reyes Luna for the tip. 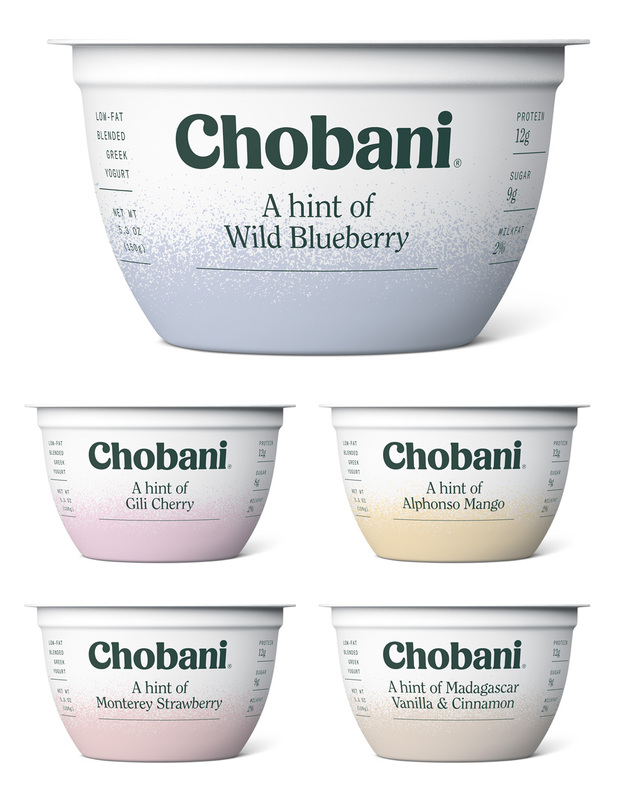 Established in 2005 and launched in 2007, Chobani is a brand of Greek yogurt available in the U.S. that was started by Hamdi Ulukaya, a Turkish immigrant, when he bought a defunct yogurt factory in upstate New York and grew it to build the number-one-selling brand of yogurt in the country. 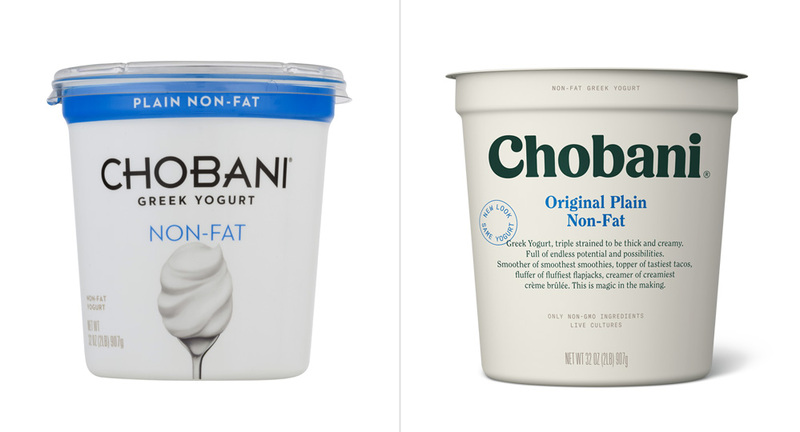 It is the Greek yogurt of choice at UCllc headquarters. 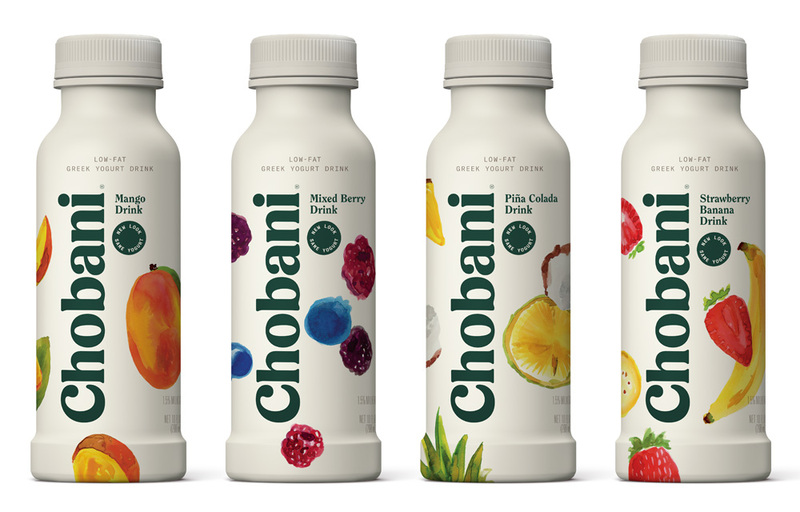 Chobani has grown so much, it became an official sponsor of the US Olympic Team in 2012. 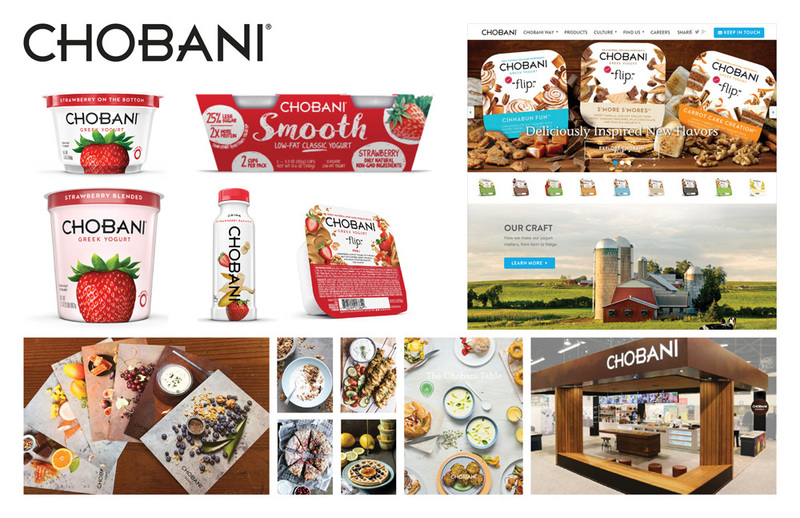 Aside from making super delicious yogurt, Chobani is a super awesome and generous company: among other perks, Ulukaya gave all of the employees shares in the company in 2016 to share the riches if and when the company goes public (or it sells). 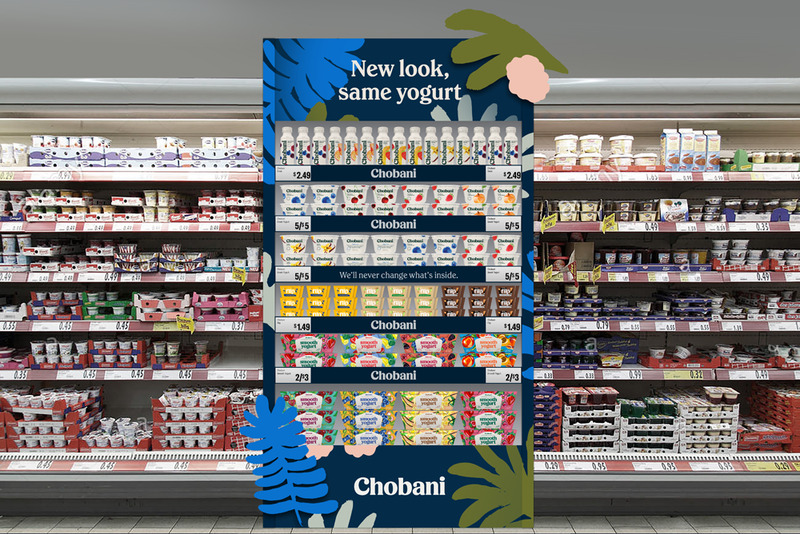 Positioning themselves for further yogurt-market-dominance, Chobani yesterday introduced a new identity and packaging designed in-house, led by Leland Maschmeyer, who joined the company -- after co-founding and working for many years at Collins -- in 2016 as Chief Creative Officer.